"... Abel and Steinberg’s records for Wilson are the best sounding chamber music recordings I’ve ever heard. The hall has been effectively eliminated and the two musicians are there in your listening room, palpably scaled and positioned. Abel has a small but attractive tone and he plays with spot-on intonation and a narrow, even vibrato. The subtlety and control of his playing is matched by his accompanist." "Recording of the Month ... oh, what a breath of fresh air this is! An audiophile recording of real music that isn't bombastic, overblown, or high-powered. Imagine, if you can, a private recital in your own home by two consummate artists who play these works for their own delight as much as for yours. Imagine sound so completely and disarmingly natural that after 30 seconds you're unaware it's reproduced. That's what this record is all about." 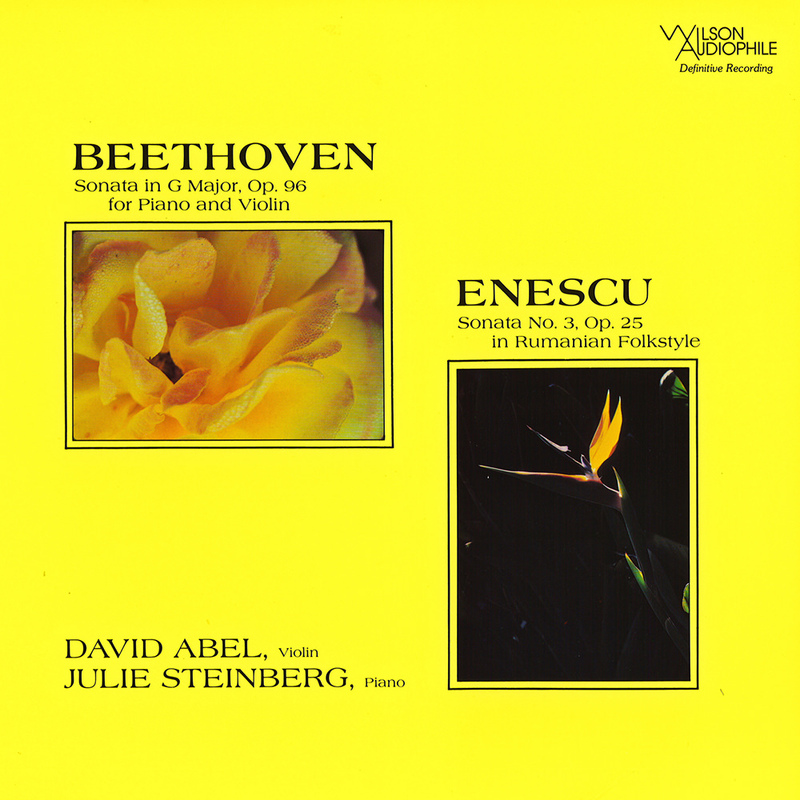 This 1984 album of violin sonatas by David Abel and Julie Steinberg received glowing reviews, praised for its sound quality which transports the two musicians directly into the listener's room. The performance is also nothing short of superb: Abel plays one of the great Beethoven sonatas and demonstrates his technical virtuosity on Enescu's Sonata No. 3, accompanied by Steinberg on piano.